Tawat's jealousy for Lem deepens in Scene 6. He observes as Lem hugs Chai when he said goodbye to him. All the time he was at the coffee shop just observing Chai and Lem. Both are not aware of this. 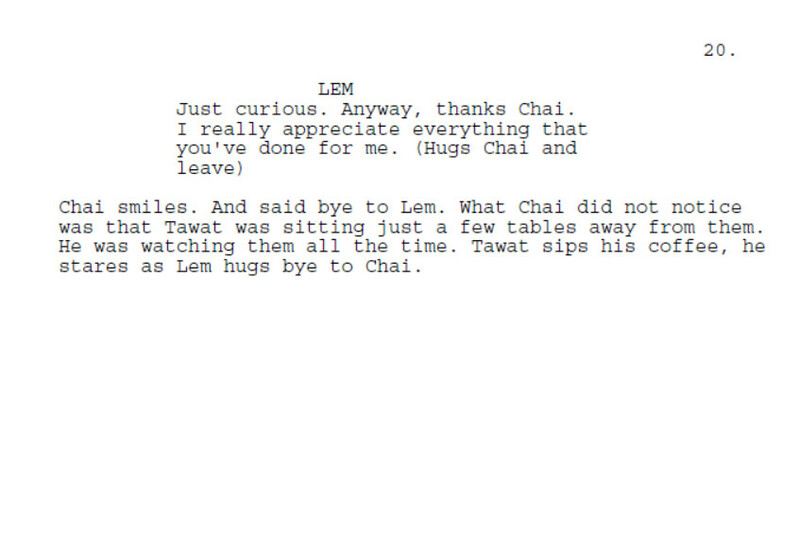 There's also the moment in this scene when Lem just stares at Chai. He's actually studying him, at this time, he's feeling something for Chai, but he just doesn't know what it is yet. He did mentioned Mili, by asking Chai who she was. Probably Lem thought that Mili is Chai's girlfriend, so this will be a good excuse for him to let go of whatever feelings he's going through right now. But then Chai answered that Mili is just a friend.